You have a very relaxing life, right? Marketing a business is easy. Social media never changes and you don't have a To-Do list longer than you are tall. Right? Good, then feel free to bounce from this article and get back to sipping piña coladas in a hammock. Because if you're anything like me and every social media marketer I know, you're a bit pressed for time. Now, there's a new "time-saving app" article written every couple minutes. They're great. But they're not results-focused. This article will go beyond "time-saving." I'll give you seven social media campaign shortcuts which focus both on saving you time and energy and also delivering the results you need. However you feel about quote Posts, there's no arguing that they get results. Unfortunately, they also take a bit of time. Finding the right font combinations, sourcing a stock photo and then putting it all together in a professional way - there's got to be a shortcut here, right? 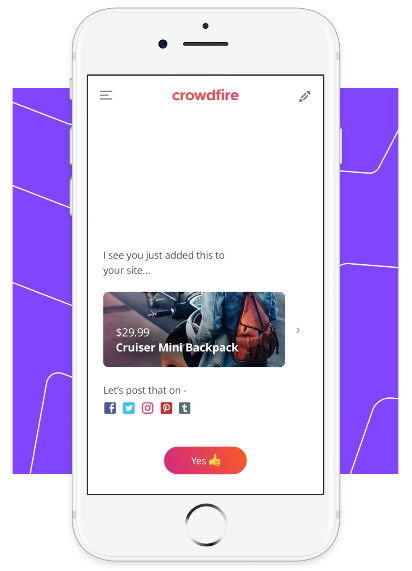 There are a bunch of awesome, free visual marketing apps out there which can be tapped to save you some time and energy. 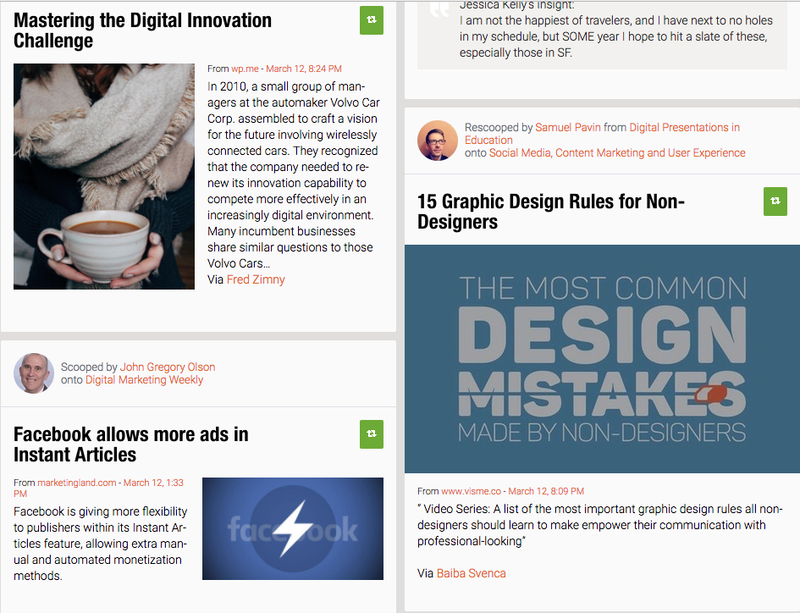 To get more visual design tools, check out 113 Visual Marketing Tools and Apps. Do people like the content you're publishing? 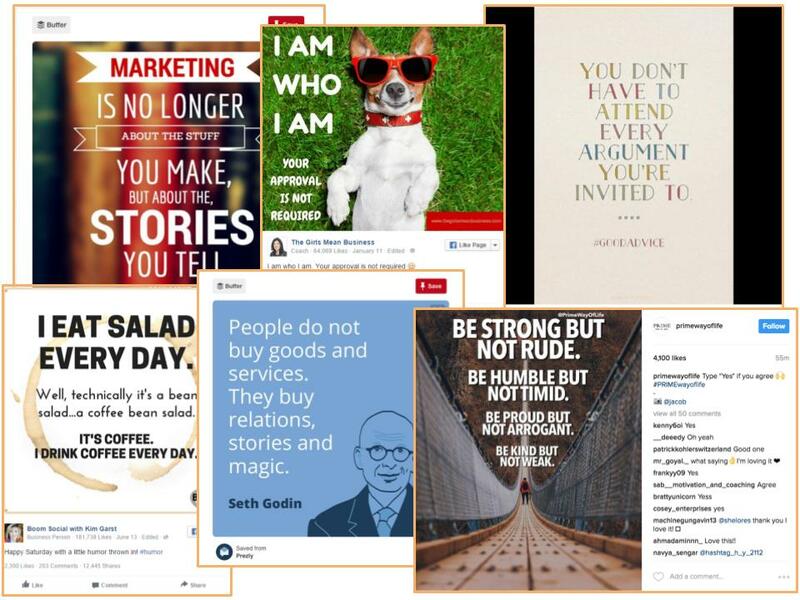 Do people like the brand persona you're putting online? Are you providing value to your target market, and do they want to stay in touch with you? A social media campaign. Incentivize your target market to become a Fan and submit their contact information in exchange for entry to win something related to your business. That last phrase is a crucial one - "win something related to your business." Unless you give away a prize related to your business (like a product or a gift card) the people who enter your social media campaign aren't going to be your target market. They'll just be people who want to win your prize. It'll be impossible to turn them into real customers down the line. And it's the real customers you want. Fans are all well and good, but dollars and cents are what make your business succeed. 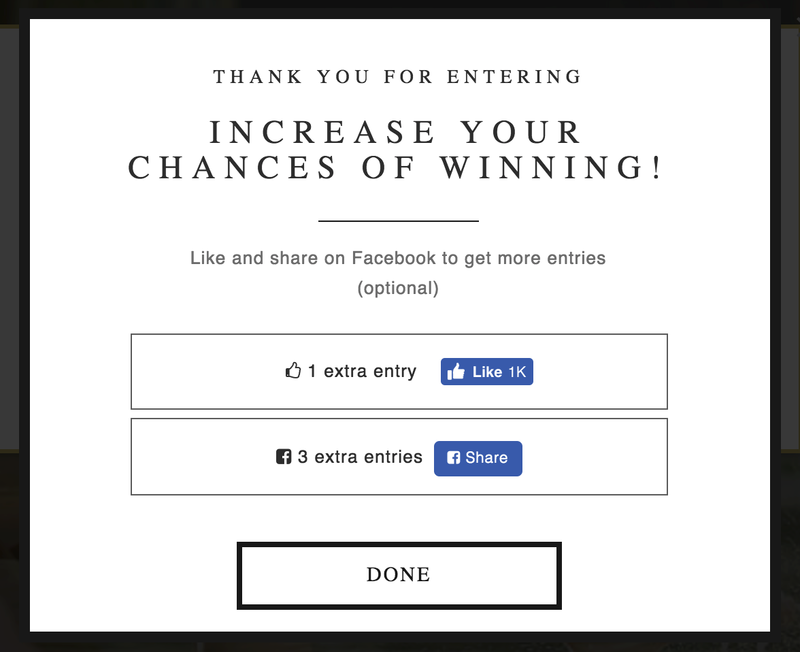 Personally I recommend the "Earn Extra Entries" option because people see it after they've seen the value of entering to win. This is when they're most excited about entering, and the desire to win is strongest. That's a powerful motivator for them to Like your Facebook Page or Twitter profile. We have a couple articles which might help you out here. 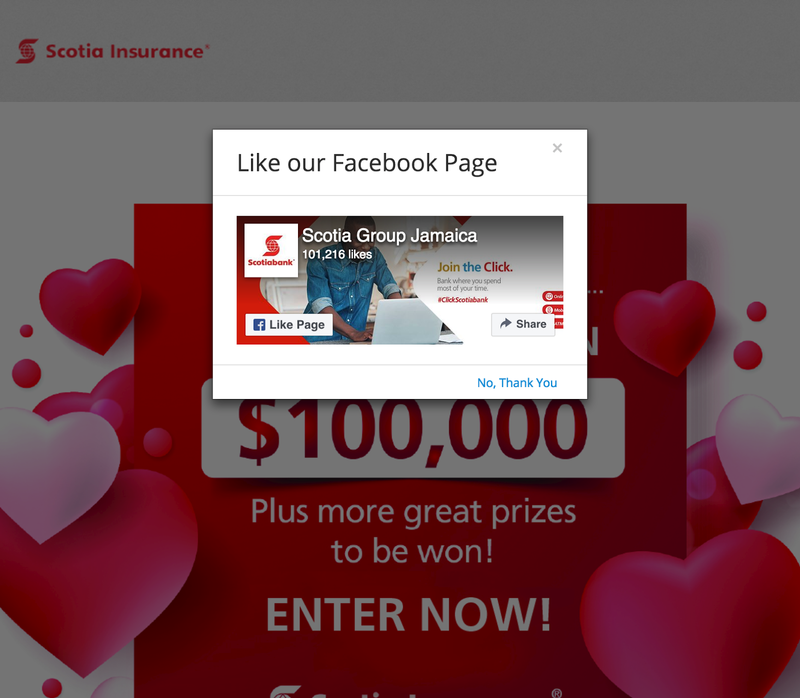 Check out social media contest examples, social media contest best practices, and social media contest prize ideas. Most businesses have a presence on more than one social media platform. 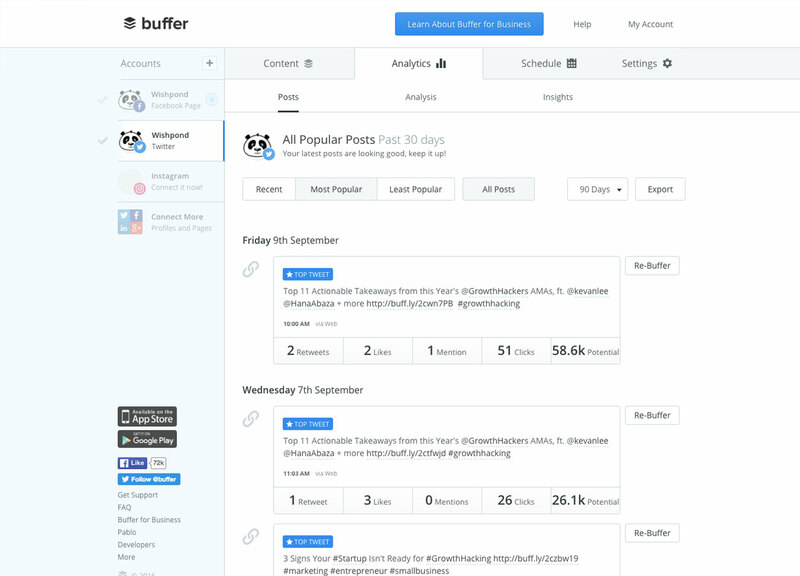 So you save time if you can see your profiles and engagement in one dashboard. And that's where a social media management tool comes in. Here's an example from Wishpond's Buffer social media management dashboard. This is our Twitter dashboard, where we can see the analytics of our posts. On the left side you can see our Facebook and Instagram profiles as well. This makes it easy to switch between them all. SMM platforms are more than just schedulers though. They also give you insight and analytics beyond what you get with the social media networks themselves. They source content related to your business, help you identify influencers and give you insight into what opportunities you might be missing on social media. Post Planner, for instance, has a tool called "Find, Plan, Post" which helps businesses increase engagement by showing content published by other businesses and Pages in their industry. You can share that content yourself to start a relationship and provide value to your fans, or you can use it as inspiration. You could spend the next few months of your life focusing on creating social media content that gets your Fans to your site and encourages them to buy. You could take a thousand awesome pictures of your products, hire models, run sale after sale, and you'd be disappointed. A better strategy, and a social media shortcut, is to create a social media campaign exclusively available to your Fans. To enter they'll have to submit their lead information. This, very quickly, turns a Fan into a Lead, which allows you to far more effectively market to them. Why is an email address so much better than a Facebook or Twitter Follower? Facebook shows about 5-10% of your current Fanbase any single Post you share. Email is sent to 100% of the people it's targeted at. Facebook users don't like to be sent off-platform (I'll talk a bit more about this in the shortcut below). People assume that the links in their emails will send them to a website. Click-through rate on links shared isn't even in the same ballpark. Email marketing has an average click-through rate of 3.57% while Facebook and Twitter are less than .1%. So, in other words, you want to be turning social media Fans into leads as quickly and as effectively as possible. 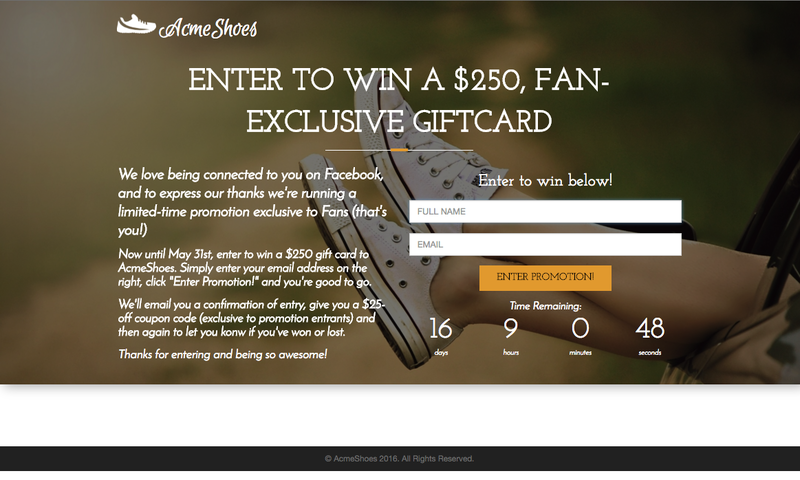 For more on Fan-exclusive campaigns, check out "How to Use a Fan-Only Promotion to Turn Followers into Leads." Writing content is time consuming. Believe me, it's my job. I mean, it can be really enjoyable. I get to write for a living (which I, as an English major with a marketing minor, never thought I'd get to do). But who are we kidding? It's time consuming. So sometimes you need a hand. Your Fans don't want you to share the same blog article or PR story over and over again, but you don't have time to write content every day, all day. That's where the content curation shortcut comes in. Save yourself time, engage your audience, and learn something yourself by identifying relevant content pieces and sharing them with your Fans. Scoop.it uses my keywords and phrases as well as my top content creators list to compile content it thinks I'll be interested in. And it's rarely wrong! Have an ebook, webinar, whitepaper or lookbook? Or perhaps you're generating blog subscribers? A top shortcut to turn Fans or social media users into leads is to keep them on the platform, but prompt lead submittal nonetheless. Your form conversion rates will be significantly higher than if you ask Facebook users to leave the platform. They're comfortable where they are; if clicking your link makes them leave they're immediately out of their comfort zone and hyper-aware they're probably being sold to. 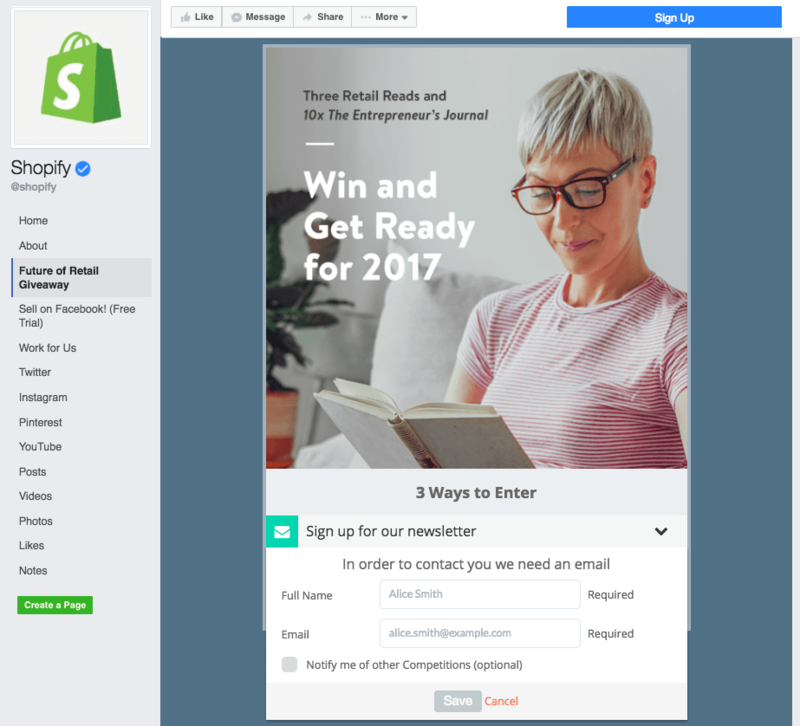 For more on Facebook landing pages, check out our article "Facebook Landing Pages: 38 Ideas, Tips and Examples." Keeping track of everything going on with your social media accounts is difficult enough, but you need to be doing more than that. You need to be keeping track of everything going on in your network, your industry, your social media world. That's where social media listening and networking tools come in. These differ from social media management tools in that they don't just provide scheduling or content curation (though some of them do), but give your business the ability to track conversations on social media. They allow you to detect and identify influencers, buyers, and prospective customers. They enable your business to listen to what's being said about your brand and about your competitors. They'll show you who said it, on what platforms, and what their issues or motivations might be. Social media listening tools are a difficult thing to understand without trying them out or seeing what the platforms look like. I recommend you start a couple free trials to educate yourself more effectively than I can here. For more on social media listening tools, check out our article "Why Social Media Listening is Key to Your Marketing Strategy." Hopefully this article gives you some valuable social media shortcuts which can help your campaigns succeed with less energy, less money and less time. Social media can be a powerful driver of business success, whether through leads, Fans or sales. But, like any marketing strategy, you need to minimize the effort you put in and maximize the return you get out. Hopefully these social media shortcuts can help you do just that. Have any questions? Don't hesitate to reach out in the comment section below. Facebook Ads are also a bit of a shortcut when it comes to driving social media results, but you have to know what you're doing. I haven't included them here, as there's no way I could fit everything into one post. Instead, I recommend you check out our " (including the chapter on strategies to make them as affordable as possible).